For the last couple of months, the joke around the office has been that dot tel would be extremely useful for “ladies of the evening”. We just couldn’t come up with a way of marketing to them that didn’t sink us into tawdriness. Well it looks like we are too late – they have discovered dot tel without our help. Anyone who is on Twitter has a large number of “working girls” following them. A review of the tweets that Dot Tel Finder aggregates http://www.dottelfinder.com/tweets/ shows two such ladies who believe .tel would be an asset to their business. Some Googling on this particular demographic of Twitter users shows that they are early adopters of all technologies as their job mandates the need for constant promotion and accessibility. It seems that any sole proprietorship has the same needs – you have to constantly market yourself in different arenas and be available to clients through a myriad of channels. So if Twookers have discovered .tel , why haven’t you? To search for your .TEL name, click here. Please .tel me where you’ve gone! I’ll admit it. I love my eyebrows. Naomi did them last Saturday and I panicked while she did them but now I love them. You see, first I lost Leanne and then I lost Suzi. Now I am with Naomi. You know what it’s like. Someone says you look a bit cro magnum so off you dash to the salon for your first eyebrow shaping. Of course you must go back to the person who did them. After a year of fabulous brows, she leaves. You ask where she has gone. “We don’t know” says old salon. Crap on a cracker – now you have to find someone new to give you the best brows in town. 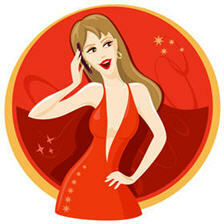 Sure – Leanne is at some other salon but short of calling every shop how can you find her? If she only had a dot tel, she would just update her leannesbrows.tel with her new salon information and you’d be back in business. Fab brows forever. But no, you’re back on the pavement hoping that your new browtitian will NOT give you brows like hers. My god – are those penciled on??!! !